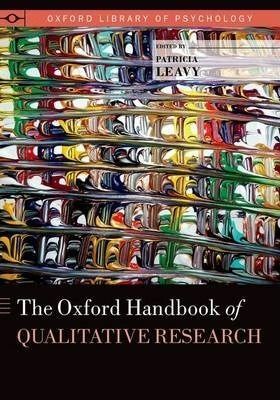 The Oxford Handbook of Qualitative Research presents a comprehensive overview of the field of qualitative research. It is intended for students of all levels, faculty, and researchers across the social sciences. The contributors represent some of the most influential and innovative researchers in the field as well as emerging scholars. This handbook provides a broad introduction to the field of qualitative research to those with little to no background in the subject, while simultaneously providing substantive contributions to the field that will be of interest to even the most experienced researchers. It serves as a user-friendly teaching tool suitable for a range of undergraduate or graduate courses, as well as individuals working on their thesis or other research projects. With a focus on methodological instruction, this volume offers both a retrospective and prospective view of the field. The first two sections explore the history of the field, ethics, and philosophical/theoretical approaches.